When it comes to holiday manicures, you can go as simple as sporting the colors of the season, or you can go full-out cheese. I’ve tried everything in between – from simple, red nails for Christmas to tracing out a glittery tree with tape. This year’s Christmas manicure is a little more simple, but still pretty intricate. Read on to learn my secret behind creating this snowflake manicure! I started this manicure, as with any other manicure, with clean nails and a coat of Nail Tek II, followed by two color coats. I wanted the color to stand out just as much as the design, so I applied three coats of China Glaze’s Ruby Pumps, a gorgeous sparkling red. I used three coats to make sure it was totally opaque. My secret behind creating the snowflake accent? The Kiss Nail Artist Paint & Stencil Kit – and a steady hand. It helps to pull up a picture of a snowflake that you’re looking to recreate so you can follow a design and not create off the cuff. Keeping a steady hand, I used the Kiss Nail Artist Paint in White to carefully trace out a snowflake. After letting it dry a bit on its own, I topped each nail with Essie’s Good to Go. And there you have it! A simple, fun manicure perfect for any time during the holiday season. 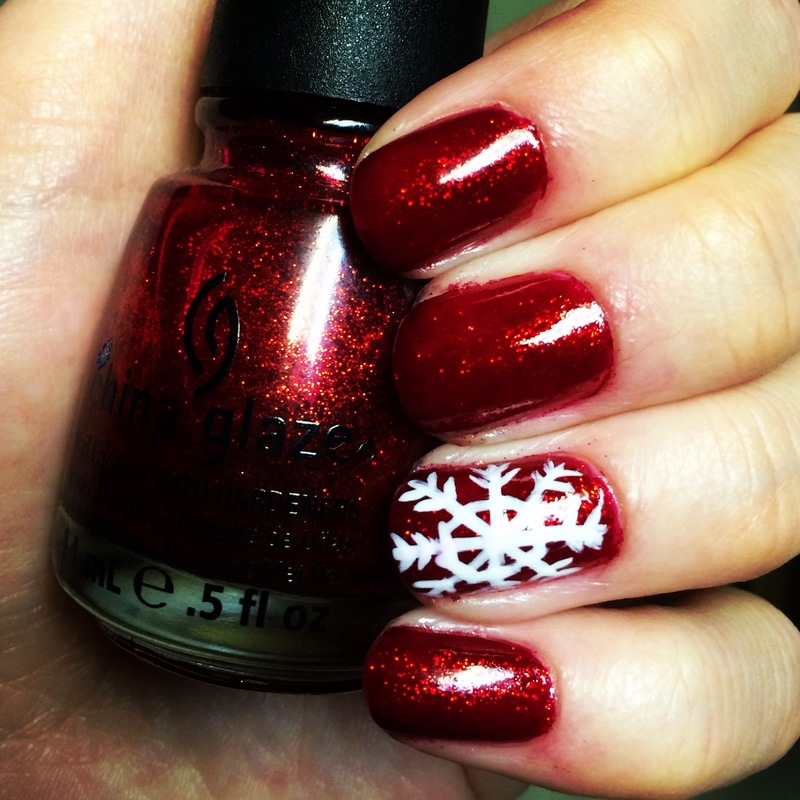 Share your Christmas manicure with us on Twitter @Collaboreight! ← Raw Dieting: Fad Or Life-Changing?